Explanation: To some, it may look like a beehive harboring an evil bee. In reality, the featured Hubble image captures a cosmic pillar of dust, two-light years long, inside of which is Herbig-Haro 666 -- a young star emitting powerful jets. The structure lies within one of our galaxy's largest star forming regions, the Carina Nebula, shining in southern skies at a distance of about 7,500 light-years. 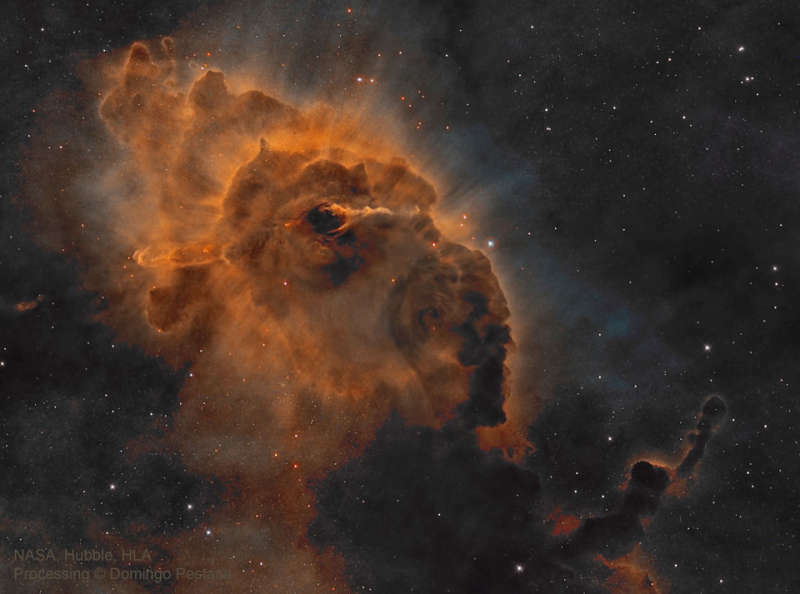 The pillar's layered outline are shaped by the winds and radiation of Carina's young, hot, massive stars, some of which are still forming inside the nebula. A dust-penetrating view in infrared light better shows the two, narrow, energetic jets blasting outward from a still hidden infant star.